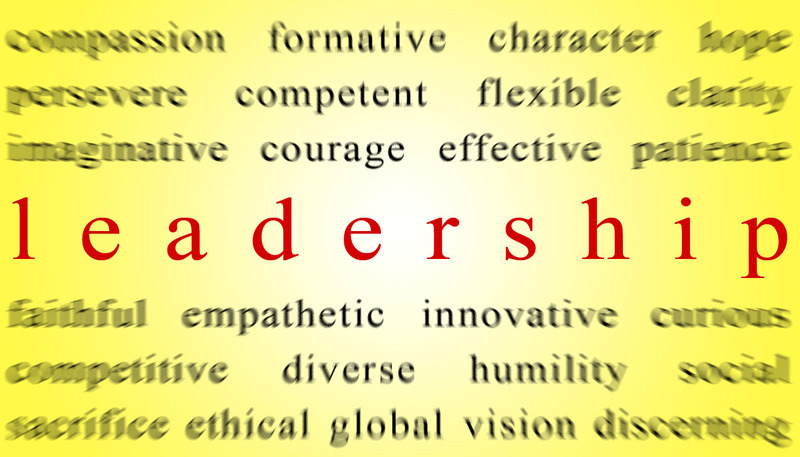 Six Leadership traits that could change corporate America! Dear Leaders, the subject of my letter to you today was formed this past Sunday as my wife and I attended Church in Apple Valley, MN. It was our very last time after 15 years attending as we were moving to a nearby city the next week and the congregation was throwing a “going away” party for us. Our Pastor, the Rev. Bill Gould, presented a topic titled Traits of True Wisdom from the book of James. As he spoke and presented some key points, it resonated as a parallel to my own philosophy of leadership. I feverishly took notes knowing it was something I had to share with my readers. I’d like to offer up these points in hopes of striking a chord in the hearts and minds of inside sales… and all leaders for that matter. You may even come to explore a whole new meaning of the word wisdom. Let’s get right to the point. In a “what’s in it for me” world, I believe our business, political and social world is filled with lots of leaders who are occupied with and chasing fame, power and pleasure rather than seeking the good of those people who they manage. They drive towards success, hitting a number, organizational growth, and their own advancement instead of making it better for a diverse group or organization. Ego and self-centeredness drives a wedge between their own ambition and those of the people they lead. This is seen so clearly in politics today as both sides of the aisle have to get their own way with little room for compromise and doing what’s in the best interest of the people they supposedly serve. And if all leaders, this writer included, took an honest look in the mirror, they would find an all too often battle between self and serving others that presents itself each and every day. I believe our World, America, Companies, Families and Inside Sales Teams, would be a bit better off if leaders would follow these six principles. #1. Leadership Wisdom is PURE – Simply put, the leader’s motives and actions must be pure and without hypocrisy or self-centeredness. Their inner most thoughts and intentions must be for the betterment of the group they lead and serve. Their values they espouse should be transparent and honest to the team. The team will feel a sense of trust due to their leader’s honesty in intention and deed. This does not mean that everyone on the team will always agree with the leader’s actions and decisions, yet it will form a trust which is the bedrock for a successful and high-performing inside sales organization. Self-Check time on this one! #2. Leadership Wisdom is PEACE LOVING – This type of wisdom for the inside sales leader seeks to sooth, unite and promote harmony and collaboration instead of causing alienation, contention, division and strife. By nature, the strong inside sales leader has to justify their existence… they often end up battling with others even luring them into fights. They feel they have to prove their existence and will sometimes come to blows with those within their own organization. Rather, the Peace Loving Leader takes the sting out of arguments instead of causing them. They seek to find common ground and work as a team with other groups to find success. Is this you? #3. Leadership Wisdom is GENTLE – The word gentle here can be translated to mean forbearing, reasonable, and courteous. In the Septuagint (Greek version of the Old Testament) this word was often used to describe kindness towards those that didn’t deserve it. How often as leaders do we exercise this trait? Aren’t we more often found calling out individuals for falling short of metrics and other goals? Don’t we insist on our every legal right and our fair share as a profession that is still driving to climb the ladder and take its rightful place in the sales pecking order? Leaders, consider your approach and make sure it’s often sprinkled with kind forbearance of others. #4. Leadership Wisdom is SUBMISSIVE – Really? You’d think the last thing a strong leader should be is submissive. Yet, this trait to me is at the very cornerstone of a strong leader who has the respect and confidence of those the lead. This word takes on a meaning of openness to reason, yielding to persuasion and willingness to consider others opinions. It means that the leader knows they don’t have all the answers, and that they are open to learning. The team knows their concerns will be heard and that the leader is not afraid to admit when they were wrong and open to change, even if it’s a change in direction from an earlier decision they made. Submissive does NOT mean the leader is a “doormat” or that they do not hold firm to their own set of values and convictions…. As this too is the mark of a strong and well-respected leader. All leaders would do well to as ask themselves how well they do in this area. #5. Leadership Wisdom is Full of MERCY and GOOD DEEDS – On the surface, the term Mercy may seem like having pity on someone or taking it easy on someone who did something wrong. But in actuality it can be interpreted as compassion which takes specific, positive actions. Mercy is the compassion, and Good Deeds is the action part. Inside sales leaders who manage a team should be careful not to accuse others. Rather, they should be slow to anger having compassion on those they may have even brought trouble on themselves. Where reps clearly have violated policy, missed goals, or done something wrong, the manager will naturally be upset and “angry”, yet they should not harbor these feelings for long. Instead, they should take the necessary action to correct the individual out of concern for them. Team members view leaders who show Mercy as those who are fair, compassionate, yet just in how they deal with people and performance issues. #6. Leadership Wisdom is IMPARTIAL – Impartiality means that the inside sales leader treats everyone the same. They are consistent in how they approach and communicate with all employees and all level of individuals regardless of title. They do not take one position with more senior staff, and a different one with those under their leadership. It certainly does not show favoritism. The leader who is IMPARTIAL may not always make the best decisions, but they will be highly respected for their consistency in treating all others. I hope one or more of these traits resonated with you as they did me. Often, the hardest things to do well as a leader are not necessarily the day-to-day reporting, performance reviews, coaching, training, etc. Rather, they are the deeply ingrained attitudes, values and traits which we display and demonstrate in our thoughts and actions to those we serve. I trust each leader will become just a little but more “Wise” by embracing the above traits!